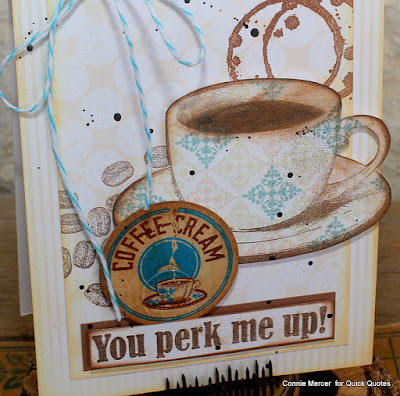 crafty goodies: Coffee Lovers Blog hop with Quick Quotes! 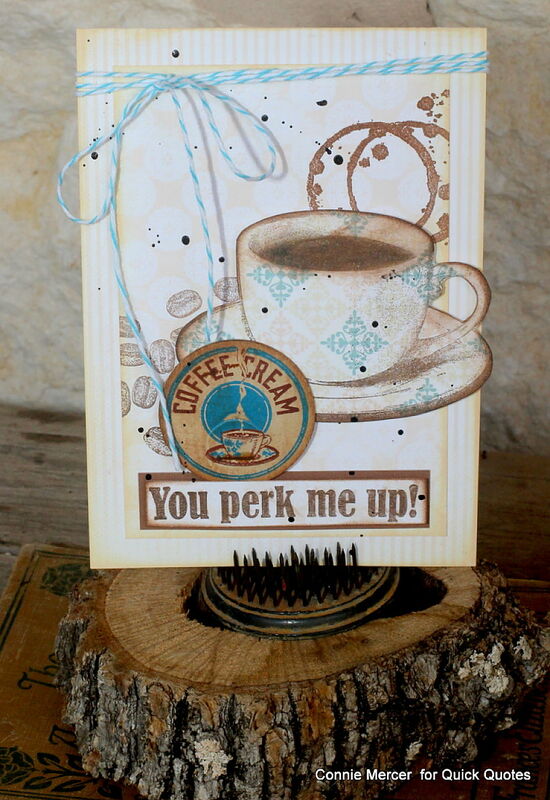 Hi, Connie here with a card for the Coffee Lovers Blog hop with Quick Quotes. 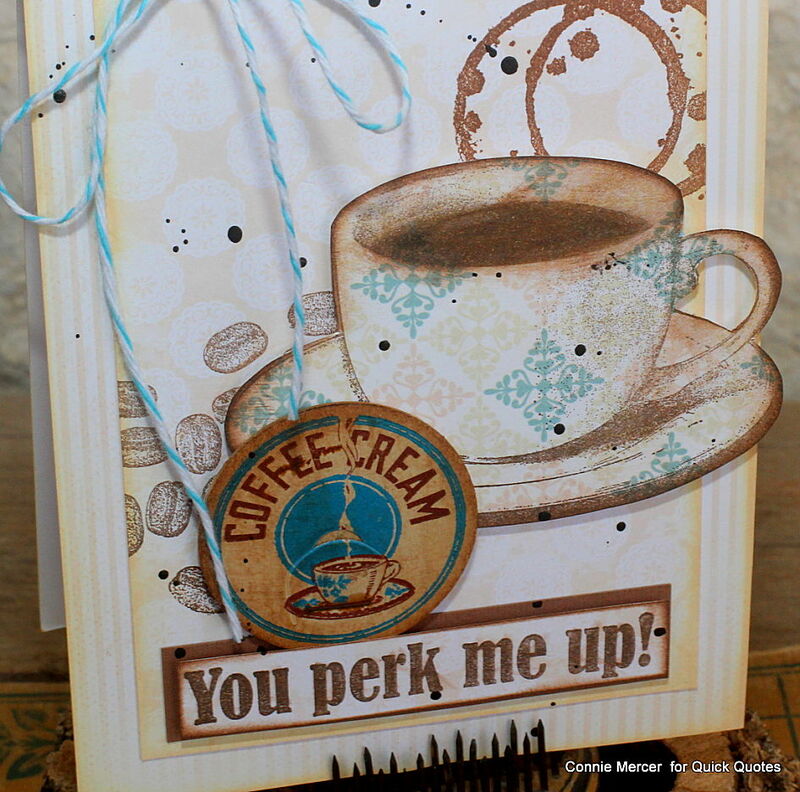 I'm using the Windsong Collection with Mocha Mama, Java and Latte PowderPuff Chalk inks by Quick Quotes. These beautiful inks, all named after coffee, are gorgeous rich colors and do remind me of coffee. 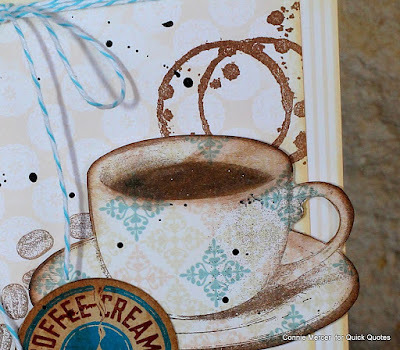 The Windsong Collection, by Quick Quotes, is very subtle but I loved how it matched the vintage coffee creamer lid I wanted to add to the card. The blue and brown colors were a perfect match. The stamping was done using the Mocha Mama and Java PowderPuff Chalk inks by Quick Quotes. Quick Quotes PowderPuff Chalk inks: Mocha Mama. Java, Latte. 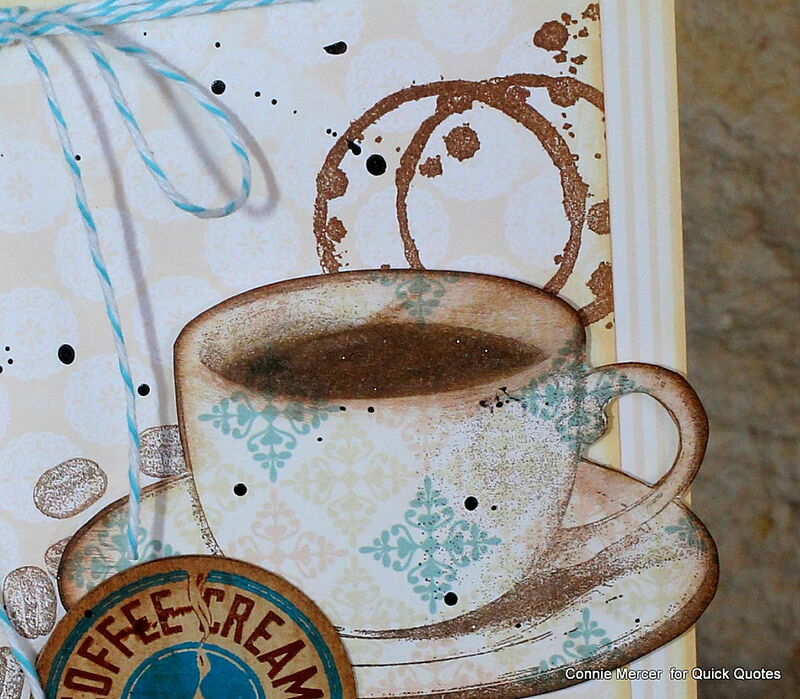 Pretty paper piecing on a coffee cup, such soft and beautiful look, love it! This is fabulous! LOVING the colors and the milk cap!!!!!!!!!!!!!! love, love, love this Connie! Great card. Wonderful colors and stamping. Is that one of your finds...coffee cream cap? The coffee stains (rings) are always a favorite of mine. What a fabulous card! So pretty! Love that coffee cup! I love a pretty blue & brown color combo. This is gorgeous. Love the card and the sassy sentiment. So pretty! Connie, your card is wonderful. Love the names of the inks! Lovely card and great design on the cup. So pretty! Love all of the neutral with the pops of beautiful blue!